Expat Connection used to be a great group for new expats to meet and take part in organized outings in and around Buenos Aires. I met a lot of great friends through them and took part in a lot of events that they had when I first moved here. Unfortunately, the group fell apart some time ago as the main organizer moved on to other business ventures and it left a whole in the expat social scene. Luckily, there is a new expat group coming to Buenos Aires – Xpat Life. 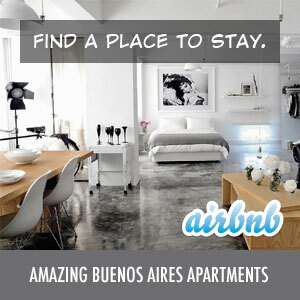 Xpat Life promises to be your “passport to the high life in Buenos Aires, Argentina and the rest of the expat world. Gain access to fabulous parties, exclusive events and fun, new experiences that combine fine dining, fashion, sport, wine, travel and everything else we love about life in the most original of ways!” Sounds like a good time! Xpat Life has already organized some impromptu events in the city and is now hosting their official launch party on Saturday, September 28, 2013, at the Puesto Viejo Estancia and Polo Club. You can take part in their launch party by RSVP’ing to [email protected] or signing up on their website. They will have buses leaving from the city, for those of you without transportation. You’ll also get the chance to join them for a reduced annual fee if you sign up before or during the launch party. Unfortunately, with a one-month old at home I’ll have to miss this one, so go and have a good time for me.